Fire in the Crucible offers a compelling exploration of the roots of creativity and genius. Drawing on the lives and work of extraordinary scientists, artists, writers, composers, and inventors, Briggs shows how creative individuals exploit doubt and uncertainty, and the mental strategies and tactics they employ when they work. "In asking about creativity," he writes, "we are really asking about what is best, what is deepest in life." 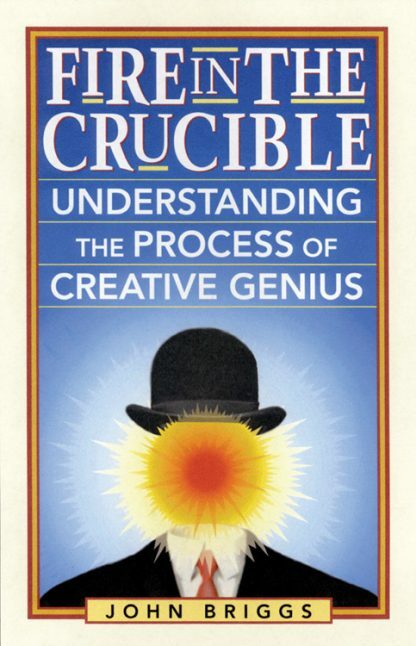 Fire in the Crucible draws the reader into an eye-opening journey through the inner workings of some of the greatest creative minds of all times -- and allows us to more deeply understand the nature of the creativity in our own lives and work. John Briggs is a professor of English of Western Connecticut State University, has taught at the New School for Social Research in New York, and holds a doctorate in aesthetics and psychology. He is the author of Fractals: The Patterns of Chaos, and co-author, with physicist F. David Peat, of Turbulent Mirror: An Illustrated Guide to Chaos Theory and the Science of Wholeness, and Seven Life Lessons of Chaos.